Thousands of people living in villages along the Mughal road too came on the road to get details about the accident. THE Jammu Kashmir Police have registered a case against rumor mongers who spread false reports about the death of nearly 40 school children in a bus accident on the Mughal Road, sending shock waves across the border Poonch and Rajouri districts on Thursday. “We know some of the people who spread rumors, but an open FIR has been registered at Surankote Police Station to find out their source of information said Poonch Deputy Commissioner Mohammad Harun Malik. However, to avoid any such road mishap involving school children, the district administration has decided to make it mandatory for drivers of vehicles carrying school children on a picnic to PKG to undergo alcohol test. The testing facility will be made available at Surankote, Malik said. Meanwhile, taking a lesson from today’s episode which left the entire top brass of civil and police administration in both the border districts rush towards alleged accident site Pir Ki Gali (PKG) adjoining Shopian district in Kashmir Valley, the state government has decided to set up a police chowki with wireless facility at Mansar adjoining PKG. Apart from this, the Health Department will deploy along the Mughal road a full-time doctor at Chatta Pani, besides ensuring deployment of a doctor at Manesar which already has an ambulance facility to carry people to the hospital in case of any exigency. Earlier in the afternoon, it was all chaos and confusion as shock waves gripped both the adjoining border following rumors about the death of nearly 40 children in a school bus accident at PKG. While thousands of people thronged the 35-40 km long stretch of Mughal road between Buffliaz to PKG falling in Poonch district, entire top brass of civil and police administration from both the districts also rushed there after many media persons started running stories about the accident on their official channels and social networking sites. With no immediate official confirmation or denial, confusion and chaos prevailed at both the places for nearly three hours, making the two district administrations on their toes. Reports about a school bus with 50-55 students on board falling into a deep gorge near picturesque Pir Ki Gali (PKG) on the Mughal road suddenly appeared on some social networking sites around 2.30 pm. Pointing out that the students belonging to a private academy at Manjakote in Rajouri district had gone there on picnic, these even confirmed heavy casualties among the children causing panic among parents and their relatives. A news agency even quoted a traffic police official confirming the road accident and the casualties among school children. 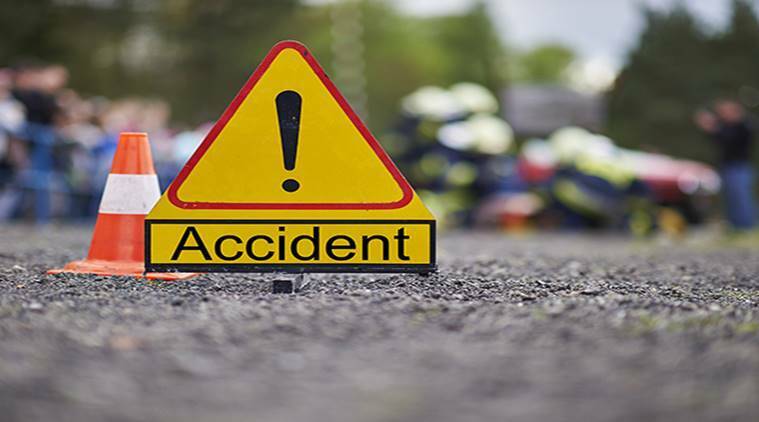 Deputy Superintendent of Police, Traffic, for Rajouri-Poonch districts, Mohammad Aslam, however, said that a media person had contacted him asking about the accident. “I told him that I too have heard about it, but I was yet to get confirmation about it from the spot,’’ he added. As the accident site happened to be a place where no cellular network exists, top civil and police officials along with rescue teams rushed from both the districts. Over a dozen ambulances from civil and police, besides army in both Rajouri and Poonch were rushed to the accident site to evacuate victims to the hospital. Worried parents, their relatives and other local people from Manjakote rushed to the accident site via Dehra Ki Gali (DKG). With details not coming, a number of locals from Surankote and Poonch also rushed there after hearing about the accident, while many others waited at Buffliaz causing traffic jam there. Thousands of people living in villages along the Mughal road too came on the road to get details about the accident. Poonch Deputy Commissioner, who was on an official visit in Kalaban area of Mendhar tehsil falling on one corner of the district at that time, immediately rushed towards PKG which fell in opposite direction at its other end adjoining Kashmir Valley. However, before senior officials from Poonch and Rajouri could reach PKG, a local BJP leader Talib Hussain Mir succeeded in contacting his daughter Tehmina Batul who was also on the bus as a school teacher accompanying students. She denied the accident story saying that everybody was safe and returning home, and later handed over the phone to the school principal who also denied the accident news. It was only thereafter, most of the people returned to their respective places in both the border districts.